Moving places is always bitter sweet. All my life I have moved. On an average every three years would mean a new place. My dad had a transferable job and we moved a lot. After I got married, my husband had a transferable job too. What’s more he had a childhood similar to mine as his dad was in the Air-Force and so he kept moving too. It’s really not easy to move places, to say the least. But what makes a world of a difference is the attitude. I have so many friends in so many different places now. Friends whom I can just call and say that I am arriving and they would welcome me with open arms. I have seen so many cultures. I have weathered so many extremes in temperature ranging from a blistering 45 degrees centigrade to a icy cold minus four. I have had the opportunity to know taste different cuisines and learn to cook it too. But most importantly I know that no matter where you go, human emotions are the same and all it takes is a big genuine smile and laughter to connect to people. Right now, I am in London typing this from a lovely hotel suite. We arrived in UK last week, to finalise a school for my children and a new home for ourselves. It's all done now a big thanks to the relocation team from my husband's company who were simply marvellous. Yes—we’re relocating to UK –and no we’re not in London or its suburbs (Thankfully!) but will be moving to this lovely city called Norwich. We’re back in India tomorrow and then by the middle of February we will move. Am I excited? Yes! Am I looking forward to it? Yes! But it’s a mixed feeling as I’ll be leaving my country for at least two years. We will be selling all the furniture and a lot of stuff. If any of you are interested in some really nice furniture (which is mostly less than two years old, as we bought new stuff when we moved to Pune) which was chosen with a lot of forethought and care, do mail me on ps@preetisatish.com Please mail only if you’re around Pune or if you’re willing to take it away yourselves. I’m posting a picture which my son clicked from our flight into London. The mountains looked so breathtakingly amazing—we just could not stop staring. I remember thinking that if there is a paradise on earth, this is probably it! Don’t know which mountain they are—perhaps the Alps? Do wish me luck! This is a new chapter in my life and I do aspire for happily ever after! All the best for your new chapter! Waiting to read more posts from u soon.. In my case, did my schooling in Calicut, engineering in Tiruvalla, job in Bangalore and now in Pune. I love to move on to different places, to learn new languages and of course to taste and cook those new cuisines. Preeti, wish you and family a wonderful stay there. wish you good Luck and all the best! All the best.. Its a different feeling being away from the country you are so used to.. the people you are so used to... IMHO you will learn more about India when you are away then when you were there... Take care and my good wishes.. Wish u all great time.. I love moving from one place to another. It is really lovely to be at a new place every few years. Like you said, life does become mundane with time at the same place. Have a wonderful time in UK. My dad was in the navy so I'v also moved quite a bit. I loved it - as you said new places, new foods, new people, new language and that gives me a common ground with alot of ppl I meet today. Best of luck in UK, Preeti. But I do hope you will continue blogging once things have settled down a bit. I have to agree on all aspects.....coz i am sailing in the same boat..happily...wishing you 'happily ever after'! Boy! am i happy for the Internet or what too??!! i too am a mover ...don't remember being in one city for long,...tho this move to singapore was the first one outside the country..
Oh Preethi...so happy for u. Funnily tho I dont know why but sitting here, I'm so excited for u:-P.
Wishing U all the best.....tek care.....take ur time abt blogging.....one thing u can be sure of....we'll be waiting:-)!!! p.s: Moving house is not a joke...I dont thk anybody can get used to it unless ofcourse they live out of 1 suitcase:-P.
Anyways, Hope ur new place is a pretty home and hope you show us around your thru ur blog. I feel just the same -But most importantly I know that no matter where you go, human emotions are the same and all it takes is a big genuine smile and laughter to connect to people. All the best Preeti and take care. Thank you for taking time from your busy schedule and continuing to spread so much warmth through your posts. Read you soon and let us know if we can be of any help. :)I haven't moved about much.. except for going once around the world.. but, I do understand that shifting places is not an easy job. Wish u good luck! Movine is fun! Have a good time and enjoy. BTW I came here to tell you that I read your book and it is AMAZING. Keep it up girl. U rock. Kisses! I am so looking forward to having you all living 'just down the road' (despite the fact that the road is 3 1/2 hours long! )But any road that has good friend at the end is no distance! Keep posting, will be waiting to read your blogs.. I guess that place definitely must be alps!! seriously he has got the knack of getting the right shots!! btw wishing you a wonderful stay and lots of stories from there..
All the very best! Here's to new beginnings! hey Preeti - good luck with your move. Hope you enjoy your time in the UK! I'm sure you will adapt gracefully to this new chapter of your life. I hope it brings you new challenges and renewed opportunities to be happy. I almost dont know what to say. I know the feeling very well of moving around alot, in my 22 years of life I have lived in four countries and that too two continents, 7 cities...I know very well the emotions one goes through when it comes to moving but also the excitement that comes with it. I wish you the best of luck with this new chapter of life, it will I have no doubts not leave you disappointed! that sounds lovely! :) can well imagine your dear blogger fans too being equally excited about your move! yes being away from our homeland, does tend to tug at our hearts, but then you'll be soon back, mebe with more love and passion! wishing you a lovely time ahead! all the best for ur new life in UK..:) looking forward to know ur experiences in this beautiful country in the future posts.. Happy for you..n there sure is Niall to make you all feel at home.!! All the best and looking f/w to reading more abt the place n ur experiences there..
My dad too has a transferable job, so even we have been following him and it is in fact a great experience. Am very much used to it these days. A lot of good friends everywhere, and thats the best part. I have been in Chennai for the past 5 years and i find my life boring these days having stayed here for a long time now and i need to stay back at-least for another year before i make a move because of my studies. Great to know that you are moving over to the UK, have a nice time. Best wishes!! 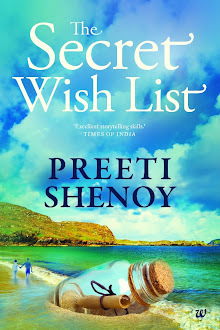 Hi Preeti...had been busy for a while and logged on to your blog just to tell you that a very sweet friend of mine got a copy of your book and lended it to me right away !! !So I thought I might just let you know that I am enjoying every page of it just like your blog....!! And here I saw that you are moving to UK..well all the very best to you..am sure you will adjust and in no time enjoy your home :)I too am in the same boat..Atlanta being my fourth place we have relocated.But I have loved moving to new places and meeting new people. n the pic is goegeous! hats off to Atul! All the best for your new phase of life..
Keep posting, looking forward to read your blogs..
First of all ... all the best ! . My life has almost been like your's ... moving from place to place in almost every 4-5 years and sometimes less than that and I share the same feeling of enjoying different cultures ! Have a nice time in London ... this will a very new experience as this would be outside India ... (I am assuming that you have never stayed outside for long before!) ... have fun ! I know the excitement that goes behind shifting.. Wish you all the very best and have a rocking time ! I am sure you would have a wonderful time there. All the very best for your new phase in life!! And hope your shifting remains a memorable one too! ohh woooow!Busy n xciting times for u ! Wish u n ur family All the Very Best to adapt to the new environment n people! well..during 1st 25 yrs of my life...i changed my home and educational institiution only once...n felt as crappy as ever during teh change. n then since i've been married..change is my middle name :) I'm not complaining..tho i wont say packing n moving is my fav thing to do ! Oh great! Good Luck and welcome to Europe - you have an invitation to Brussels and Germany as soon as you have settled down. My dad like yours had a transferable job and I know exactly what you mean. Every few years I start to get an itch! Will miss your posts for a while. But all the best to your new chapter. But knowing you...i know u're heart will prosper. Looking forawrd to seeing your post from Uk with picture et al. Nice photograph taken by Atul. Please tell him GOOD SHOW from my side. I know how it is travelling every few years. My father was in Govt service and I was in Air Force. I had a course mate in flying named Shenoy, wonder if he is your father in law. If so I must say world is really small. You can navigate to my space here and contact me. Best of luck at new place. My son spent few months there in 2007. A cousine of mine is doctor there. Hope to keep seeing you here often once you are settled. will await UK Diaries PS! Oh!!! MOving can be a pain at times, yes..but I love the fact that each time I move, I get to make new friends and keep the old oens too, and I love it inspite of all the cribbing. All the best Preethi and may this phase in your life bring lots of wonderful memories, and a whole load of new friends too. Change gives prosperity!!! LONDON will be a interesting place to live. Wishing you & your fmly ALL THE BEST!!! Good that your photo's have watermarks now!!! Lancaster and Norwich are far off but do let me know if you need any help....I will try my best to help.Hope you have a stress free shifting :) I know how tough it can be...all my good wishes to you.Take Care. I stayed in the same place for 21 years :) But I moved for studies during college. Though there was a time i felt I could not stay away from home.. now I think I can make any place my home. Wish you best of luck. Hope you make very good friends and learn a lot from the new place you are moving in to. delurking to wish you all the best for your sojourn to the UK.I have read and thoroughly enjoyed your blog for many months now. Keep Blogging ! You are going to my most favourite place on earth - the UK - I envy you but I also wish you and your family all happiness there. Take care. P.S. That shot from the plane window is amazing - what clarity! I spent my childhood like that in India - moving every three years. So you are moving closer to me.we have plans for a UK trip next year - who know - we might meet up? 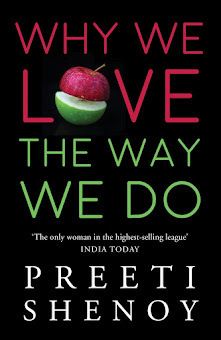 Hey Preeti...Glad you have finalised the stay, school etc. travelling to new places is definately a good experiance for your kids too... guess Atul & Purvi vill be very excited ablout it... Glad your blog & the internet will keep us connected.... Wishing you all the best... God Bless... Pl tell Atul his pics amaze me. Lots of Luck to you!!! pass on my love to the kids! Take a dollop of Colman's(of Norwich) , develop a taste for Marmite, reconcile to buying Norwich City shirts for Atul, overlook Satish looking at Page 3, accept balti as Indian food, and have a ball. Wishing you a super time in Her Majesty's land - pip pip, toodle-oo. lots of talent in you..good luck..
All the best to u and ur family. And when i read the 1st para , it really sounds so familiar and close to my heart as i have experiences of moving and shifting from one place to another and i love that change though it is surely strenous ..
now moving out of country is really a tougher job , but i am sure you would gel well and this new journey would add on more colours and joy in your life .. Interesting and honest expression..Wish you and your family a pleasant relocation..Wish you get opportunity to visit more of Europe and US ..
Preeti, I wish you all the best in your new "home". I know it's hard to move, but I actually envy you. I've lived in So. California for 40 years. Now I admit it's a beautiful area. But it's so nice to be exposed to different cultures, languages, foods, art, etc. Have fun!! I think its never too late to wish u good luck with this new place n country! May god bless u! Think u would hav got settled there! A big thanks for all the wishes and thank you to everyone who cared enough to leave a comment on this post.Your words leave me with a happy warm feeling, and I feel good to stay connected.We're in the process of relocating. Everything has been sold and I am sitting in an empty house, typing this. It's the end of one chapter and start of another and I am glad you're all with me on this journey. All the best for the new beginning. I've spent all my life moving....my father roamed all over the country and I followed suit.....now I'm retiring in two months and was relocated just four months ago!!! But what frightens me is that after retirement I may have to live at one place now for the rest of my life....it makes me feel claustrophobic actually. My parents, both in their 80s relocated themselves from north India to south India just four years ago. Will I be as lucky as them, I wonder. Norwich is a lovely town. Right up there on the east coast. Nice, cosy n quiet. by the way, it gets really cold over there. have a few friends from there, whenever they were in London, they always remarked, "London is so warm." felt like socking them!! anywyz, I suppose by this time, you are well settled in Norwich. Cheers to that.